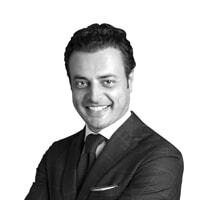 Mr. Vettoretti directly oversees Dezan Shira & Associates' operations in China, Hong Kong and Vietnam, he is experienced in corporate structuring, tax planning and legal and management issues affecting foreign-invested enterprises. Furthermore, he is currently the Chairman of the European Chamber of Commerce, Pearl River Delta Chapter and an International Advisor to the Guangzhou Government. Alberto is also a guest lecturer at the University of Venice Ca’ Foscari Challenge School Global Management for China.